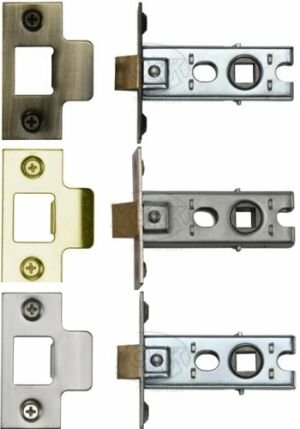 Lightly sprung York door latch suitable for use with sprung door handles and sprung mortice door knobs, to match the finishes of the Heritage Brass range. Suitable for use with bolt through fixings. 64mm latch has 45mm backset from door to centre spindle. 76mm latch has 57mm backset from door to centre spindle.